You know this thing about Coloring Games? For these of you why like Coloring Games, for painters, graphic artists and talented at drawing we've bring it the most interesting coloring games where you have to take some colored colors, then using a brush, pencil, pen, watercolor, eraser you have to make a coloratura, a coloration that can colorful your landscape, your house with different types of chromatic. 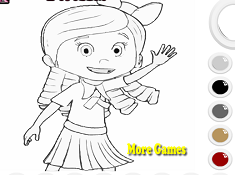 In Coloring Games you can find 284 games that we've published for these kids and childrens that are interested to play Coloring Games, this game gategory have been created on 13.10.2015. 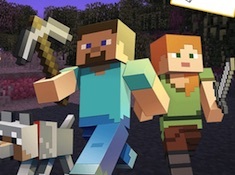 These games with Coloring Games have been voted 1 times and the avarage of vote is 5.00 stars. We advice you to play the last flash game from Coloring Games, Boss Baby Coloring Book that have been published on 24.09.2018 19:11. Boss Baby Coloring Book its a part of The Boss Baby Games category and until now its played 23804 times. Try it now on Cute-Games.com! 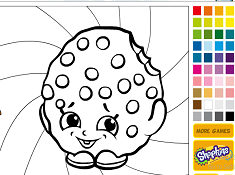 Gumbal Coloring book its a part of Gumball Games category and until now its played 1678 times. Try it now on Cute-Games.com! 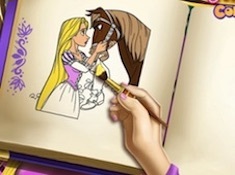 Goldie Princess Coloring Book its a part of Rapunzel Games category and until now its played 980 times. Try it now on Cute-Games.com! 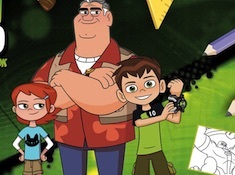 Ben 10 Coloring Book its a part of Ben 10 Games category and until now its played 780 times. Try it now on Cute-Games.com! 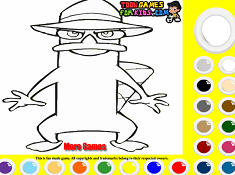 If your like the Ben 10 Coloring Book game you can write a comment in the game page. Recommend this game to your friends if you like it! Doodle Coloring Flora its a part of Winx Games category and until now its played 462 times. Try it now on Cute-Games.com! If your like the Doodle Coloring Flora game you can write a comment in the game page. Recommend this game to your friends if you like it! Digby Dragon Colour In its a part of Digby Dragon Games category and until now its played 634 times. Try it now on Cute-Games.com! 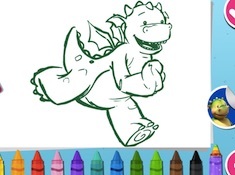 If your like the Digby Dragon Colour In game you can write a comment in the game page. Recommend this game to your friends if you like it! Disney Princesses Drawing Party its a part of Princess Games category and until now its played 498 times. Try it now on Cute-Games.com! Anna Art Classes its a part of Frozen Games category and until now its played 408 times. Try it now on Cute-Games.com! Audrey Mood Swing its a part of Girl Games category and until now its played 462 times. Try it now on Cute-Games.com! 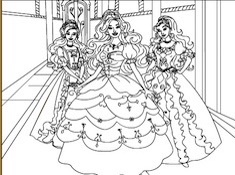 Enchantimals Coloring its a part of Coloring Games category and until now its played 1053 times. Try it now on Cute-Games.com! 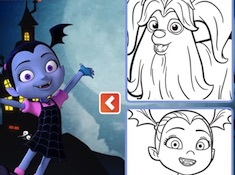 If your like the Enchantimals Coloring game you can write a comment in the game page. Recommend this game to your friends if you like it! 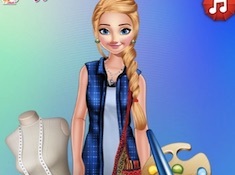 Barbie Coloring its a part of Barbie Games category and until now its played 644 times. Try it now on Cute-Games.com! 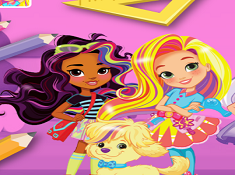 If your like the Barbie Coloring game you can write a comment in the game page. Recommend this game to your friends if you like it! 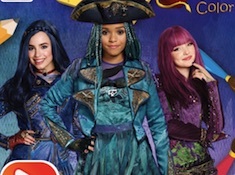 Descendants 2 Coloring Book its a part of Descendants Games category and until now its played 940 times. Try it now on Cute-Games.com! Chibi Disney Princess Drawing its a part of Princess Games category and until now its played 523 times. Try it now on Cute-Games.com! 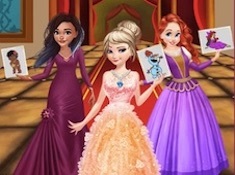 If your like the Chibi Disney Princess Drawing game you can write a comment in the game page. Recommend this game to your friends if you like it! Winston Steinburger and Sir Dudley Ding Dong Coloring its a part of Winston Steinburger and Sir Dudley Ding Dong Games category and until now its played 524 times. Try it now on Cute-Games.com! 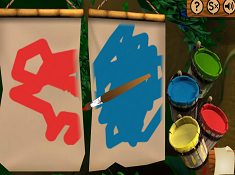 If your like the Winston Steinburger and Sir Dudley Ding Dong Coloring game you can write a comment in the game page. Recommend this game to your friends if you like it! 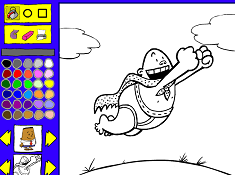 Kody Kapow Coloring Book its a part of Kody Kapow Games category and until now its played 410 times. Try it now on Cute-Games.com! 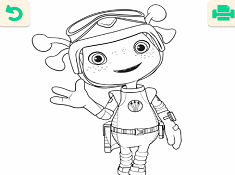 If your like the Kody Kapow Coloring Book game you can write a comment in the game page. Recommend this game to your friends if you like it! 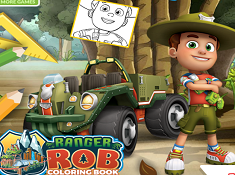 Ranger Rob Coloring Book its a part of Ranger Rob Games category and until now its played 817 times. Try it now on Cute-Games.com! 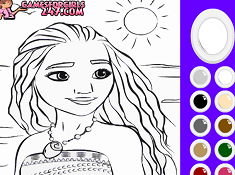 Dawn of the Croods Coloring its a part of Dawn of the Croods Games category and until now its played 524 times. Try it now on Cute-Games.com! 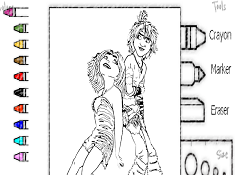 If your like the Dawn of the Croods Coloring game you can write a comment in the game page. Recommend this game to your friends if you like it! 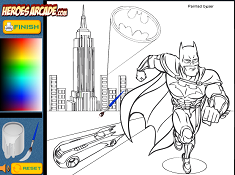 Batman Coloring its a part of Batman Games category and until now its played 757 times. Try it now on Cute-Games.com! If your like the Batman Coloring game you can write a comment in the game page. Recommend this game to your friends if you like it! 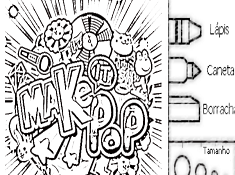 Make It Pop Coloring its a part of Make It Pop Games category and until now its played 713 times. Try it now on Cute-Games.com! The Emoji Movie Coloring its a part of The Emoji Movie Games category and until now its played 1077 times. Try it now on Cute-Games.com! If your like the The Emoji Movie Coloring game you can write a comment in the game page. Recommend this game to your friends if you like it! Goldie and Bear Coloring its a part of Goldie and Bear Games category and until now its played 641 times. Try it now on Cute-Games.com! 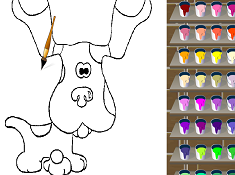 If your like the Goldie and Bear Coloring game you can write a comment in the game page. Recommend this game to your friends if you like it! Miss Moon Coloring its a part of Miss Moon Games category and until now its played 748 times. Try it now on Cute-Games.com! If your like the Miss Moon Coloring game you can write a comment in the game page. Recommend this game to your friends if you like it! 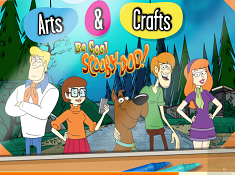 Be Cool Scooby Doo Arts and Crafts its a part of Scooby Doo Games category and until now its played 693 times. Try it now on Cute-Games.com! 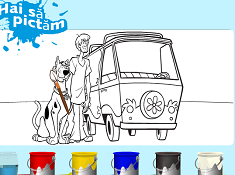 If your like the Be Cool Scooby Doo Arts and Crafts game you can write a comment in the game page. Recommend this game to your friends if you like it! Goldie Coloring its a part of Goldie and Bear Games category and until now its played 697 times. Try it now on Cute-Games.com! If your like the Goldie Coloring game you can write a comment in the game page. Recommend this game to your friends if you like it! Beyblade Burst Coloring its a part of Beyblade Burst Games category and until now its played 1230 times. Try it now on Cute-Games.com! 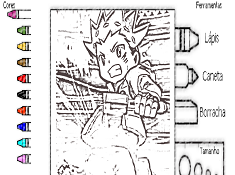 If your like the Beyblade Burst Coloring game you can write a comment in the game page. Recommend this game to your friends if you like it! Blue Coloring its a part of Blues Clue Games category and until now its played 948 times. Try it now on Cute-Games.com! If your like the Blue Coloring game you can write a comment in the game page. Recommend this game to your friends if you like it! Floogals Painting its a part of Floogals Games category and until now its played 768 times. Try it now on Cute-Games.com! 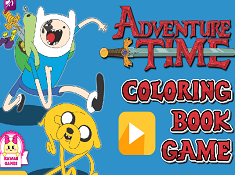 Adventure Time Coloring Book its a part of Adventure Time Games category and until now its played 702 times. Try it now on Cute-Games.com! If your like the Adventure Time Coloring Book game you can write a comment in the game page. Recommend this game to your friends if you like it! 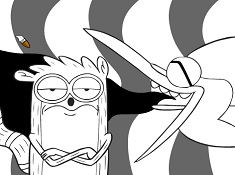 Rigby Coloring its a part of Regular Show Games category and until now its played 752 times. Try it now on Cute-Games.com! 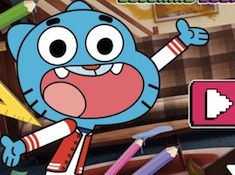 If your like the Rigby Coloring game you can write a comment in the game page. Recommend this game to your friends if you like it! Cantando de Galo Coloring its a part of Cantando de Galo Games category and until now its played 567 times. Try it now on Cute-Games.com! 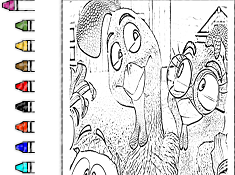 If your like the Cantando de Galo Coloring game you can write a comment in the game page. Recommend this game to your friends if you like it! Art College Classes for Princess its a part of Ariel Games category and until now its played 681 times. Try it now on Cute-Games.com! 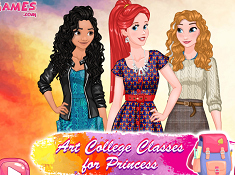 If your like the Art College Classes for Princess game you can write a comment in the game page. Recommend this game to your friends if you like it! 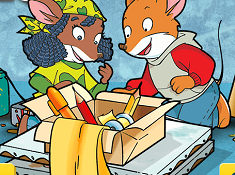 Draw and Color its a part of Geronimo Stilton Games category and until now its played 671 times. Try it now on Cute-Games.com! 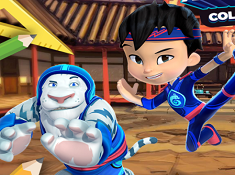 Bing zing Backdrops its a part of ZingZillas Games category and until now its played 1343 times. Try it now on Cute-Games.com! If your like the Bing zing Backdrops game you can write a comment in the game page. Recommend this game to your friends if you like it! 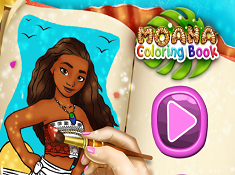 Moana Coloring Book its a part of Moana Games category and until now its played 1123 times. Try it now on Cute-Games.com! If your like the Moana Coloring Book game you can write a comment in the game page. Recommend this game to your friends if you like it! 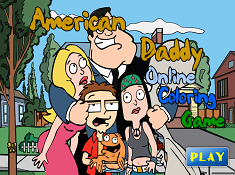 American Daddy Coloring its a part of American Dad Games category and until now its played 857 times. Try it now on Cute-Games.com! If your like the American Daddy Coloring game you can write a comment in the game page. Recommend this game to your friends if you like it! 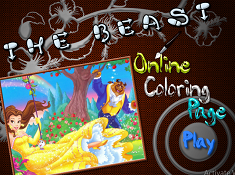 The Beast Online Coloring its a part of Beauty and The Beast Games category and until now its played 756 times. Try it now on Cute-Games.com! If your like the The Beast Online Coloring game you can write a comment in the game page. Recommend this game to your friends if you like it! 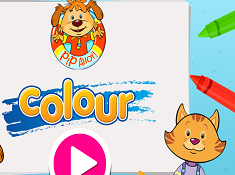 Pip Ahoy Coloring its a part of Pip Ahoy Games category and until now its played 695 times. Try it now on Cute-Games.com! 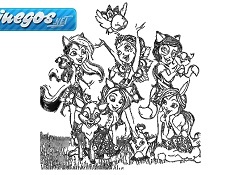 If your like the Pip Ahoy Coloring game you can write a comment in the game page. Recommend this game to your friends if you like it! 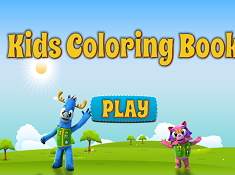 Backyardigans Coloring its a part of Backyardigans Games category and until now its played 1587 times. Try it now on Cute-Games.com! 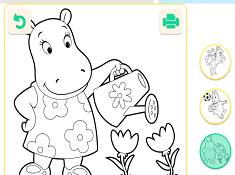 If your like the Backyardigans Coloring game you can write a comment in the game page. Recommend this game to your friends if you like it! 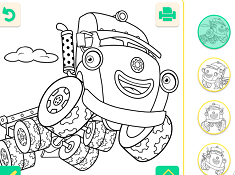 Trucktown Coloring its a part of Trucktown Games category and until now its played 797 times. Try it now on Cute-Games.com! Perry Coloring its a part of Phineas and Ferb games category and until now its played 856 times. Try it now on Cute-Games.com! Color Moana its a part of Moana Games category and until now its played 1116 times. Try it now on Cute-Games.com! If your like the Color Moana game you can write a comment in the game page. Recommend this game to your friends if you like it! 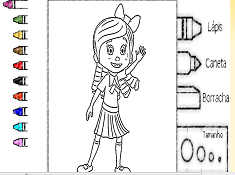 Violetta Coloring Page its a part of Violetta Games category and until now its played 1610 times. Try it now on Cute-Games.com! 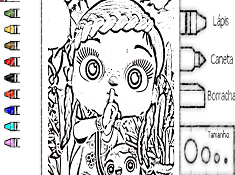 If your like the Violetta Coloring Page game you can write a comment in the game page. Recommend this game to your friends if you like it! 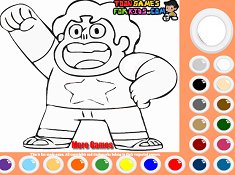 Steven Universe Coloring Page its a part of Steven Universe Games category and until now its played 1148 times. Try it now on Cute-Games.com! If your like the Steven Universe Coloring Page game you can write a comment in the game page. Recommend this game to your friends if you like it! Angry Birds Coloring its a part of Angry Birds Games category and until now its played 659 times. Try it now on Cute-Games.com! 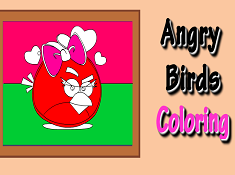 If your like the Angry Birds Coloring game you can write a comment in the game page. Recommend this game to your friends if you like it! 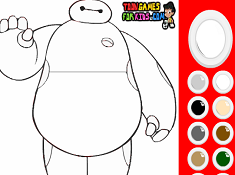 Baymax Coloring its a part of Big Hero 6 Games category and until now its played 877 times. Try it now on Cute-Games.com! 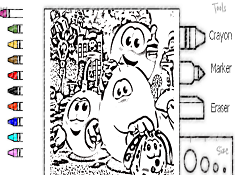 If your like the Baymax Coloring game you can write a comment in the game page. Recommend this game to your friends if you like it! Disney Magic Doodle its a part of Mickey Mouse Games category and until now its played 1243 times. Try it now on Cute-Games.com! 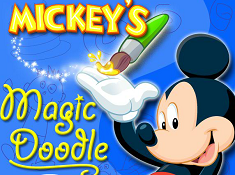 If your like the Disney Magic Doodle game you can write a comment in the game page. Recommend this game to your friends if you like it! 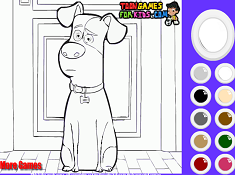 Find More About Coloring Games! We have for you new games in our category Coloring games on cute-games.com and we are impatient to show you what we have for you. 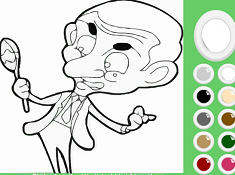 In our Coloring games you will meet a lot of characters from all your favorite series and movies and you will have to color them in any way you want and you can make them look totally different like they look always. 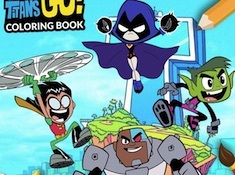 The characters are from Disney, Cartoon Network and Nickelodeon because we know that you love them and you are watching them because you are interesting about them and for that we gave you the chance to breed them in your way. 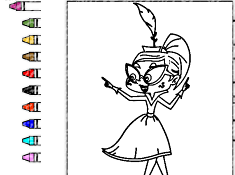 Some of the characters are Dexter, Elena of Avalor, Ben 10, The Avatar, Cinderella, Spies girls, Power Puff girls, The Penguins of Madagascar and many others characters that you can color with any colors you want. For your coloring we prepared the most beautiful colors like red, yellow, green, blue, purple, orange, pink, brown and a lot of colors mix that will help you to color your characters in an original way. You can choose with what you want to color because we have pencils, small brushes, big brushes, pens, colored chalk and we also have eraser if you made a mistake. 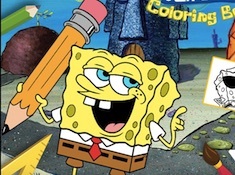 Coloring games put your creativity in action and wake up your imagination by choosing the right colors and make the drawing looking amazing because of you and after you finish you can show your work to your friends and they will be proud of your talent. The funny thing is that you can change the character entirely and if the character has brown hair you can make it blonde or if it has green eyes you can make them blue and you can make a lot of combinations and turn your character in other person. 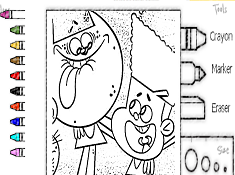 There are drawings in which you will found two, three or more characters that you will have to color and there are drawings in which you will see a sequence from a movie or a series. For our games being more interesting we have for you drawings in which you will have to color characters which are from different movies and you can make them being friends and looking amazing together. Also we have for you drawings with flowers, animals, sports and many other stuff by daily life in which you will find yourself. 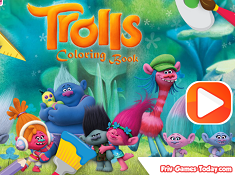 We hope that you will enjoy our Coloring games and you will spent a good time drawing the characters that we prepared for you and we are sure that you will do the best drawings because on cute-games.com everybody is talented. If you have more ideas for our Coloring games or if you want a game that we haven`t published you can tell us what game do you want and we will publish it for you.